The bells are ringing - it seems that the FIA/FOTA war is over. Autosport has reported that all the FOTA teams, including Toyota, have signed on for next season and suddenly F1 is filled with optimism and good cheer again. Of the new teams, so far four have registered an entry (USF1, Prodrive/Aston Martin, Lola and Campos) so the FIA may even be in the comfortable position of having to choose which teams will be accepted for the championship. Meanwhile, my cold has developed to the aching joints and hacking cough stage and I really do not feel like dissecting all the details today. It may be wiser to leave things until later anyway, as developments tend to follow one another very quickly in the sport and the scene may look quite different this evening. I will not go into anything in depth, therefore, and will only mention a few aspects that will be talking points in the days to come. Note for a start that the FOTA teams' entries are conditional upon a Concorde Agreement being signed before June 12. That is something that Bernie has been wanting for some time, along with guarantees of commitment from the teams, so it is good that FOTA is pushing for it too now. Their aims may be somewhat different from FOM's, however. Customer cars have disappeared out the window again and, instead, there are concessions on information sharing by the existing teams. With so many new teams being prepared to construct their own chassis, the matter becomes a non-issue anyway, it always being preferable that each team be a constructor. The wording of Mosley's concession to allow the salaries of highly paid designers to be exempt from the budget becomes important now. It will be interesting to see how and at what point the line is drawn between expensive designers and the hoi polloi of the design office. Then there is the question of whether this amounts to a big defeat for Mosley. At this stage, I maintain it is, since he was so commited to the 40 million budget cap whereas it now stands at 100 million. I would guess that Bernie has had much to do with the shifting of Max on this one and it remains to be seen how things will be painted to hide Mosley's embarrassment. No doubt there will be plenty to chew over and argue about in the calm after the storm but at least things are set upon the right course now. There is hope for the sport yet, good friends! Right, I'm off to lie down and be miserable for a bit. Might push out an update later if I feel up to it. The Concorde Agreement will be signed, after which all FOTA teams will commit to competing in Formula One until 2012. This should give some stability for the next years. I see the result as a defeat for Max. Clive: I hope you will feel better soon. Has an agreement really been reached...or are things still up in the air? As I read the press releases, it seems nothing is yet in cement. Hope you feel better. Chicken soup is always a worthwhile medication...as is massive amounts of decent Bordeaux. Hezla: Agreed regarding the Concorde Agreement - it will also mean that Max will have to go through the Formula One Commission before changing regulations. Don: I suppose we can call it a provisional cease fire. The teams have signed but retained the right to withdraw of a Concorde Agreement is not signed. The implications of of that proviso are quite far-reaching since it will mean that Max will have to accept that his powers are limited in ways that they have not been for years, and the matter of payments from FOM are also a potential trouble area. Essentially, it means Max has been outmaneuvered for the moment - his attempt to force FOTA to accept his terms by the threat of exclusion from the series has failed and the teams have more time to hammer out a compromise. Max can also no longer claim that the teams never make any constructive suggestions - they have come up with a reasonable compromise solution and he will have to consider it. Lola, Prodrive/Aston Martin, and USF1 will be welcome additions to F1 in my book. I say this not to disrespect Campos as I know too little about them to make a judgement on the team potentially joining the F1 circus. As we have learned the hard way in American open wheel racing. 24 cars makes a better show then just 18. The biggest problem with having just 17-18 cars is if there is an accident at the beginning of a race involving 4-5 cars, the race basically gets run with 13-14 cars and that is not good entertainment. The new teams will obviously face a steep learning curve, but new teams, sponsors can only be good for the sport. Give them a couple of years to get their program together and it will benefit F1 and the fans in the long run. The more, the merrier! This is good news in my book. 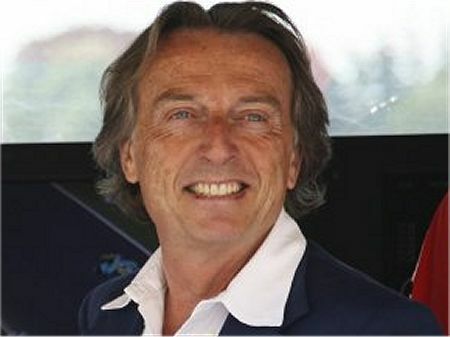 Aracer: I agree, it is great that F1 will have both the existing teams and the new ones in 2010. The three new entrants you mention should be capable of putting on a respectable show at least. Campos we will have to wait and see but I guess they wouldn't have entered unless they were pretty sure they could manage it. And don't forget hot whiskey,honey, lemon and clove. It must be something going around up there. A friend who lives in Ipswich has been battling the same cold for the last two weeks. Hope you feel better--rest, don't reply. Clive: For a minute, I thought FOTA had caved in, but in your reply to Don you mention the fact that FOTA has out maneuvered Max and his deadline... You are absolutely correct, and FOTA has conceded little or nothing. By creating a March 'sign up' deadline Max was forcing the confrontation early, while FOTA obviously needed more time to garner support for its position. By signing up under the proviso of a Concorde Agreement by June 12 FOTA has created their own deadline for Max and Bernie who will be pressed to reach a consensus. More than this, the teams will be in a more powerful position because the grid will be set with a FOTA majority for 2010. Max would have to scramble to fill the vacancies, if FOTA's demands aren't met. Sam: An interesting scoop, indeed! One wonders what clever aerodynamic effect Ferrari has discovered to put those round bumps in so many places. Marc: The way the first reports had it, I thought that the FIA and FOTA had agreed on the details as listed and so the teams could sign. Now it is clear that this was a unilateral action by FOTA and it remains to be seen what Max does with it. Effectively, it throws the matter of deadlines in Mosley's face and sets one of FOTA's own. I have seen some discussion of whether Max will just reject FOTA's entry but, as you say, that would leave him with very few teams for his racing series and not much of a show at that. No doubt he will come up with something much more devious that throws the pressure back on FOTA. It is clear that FOTA is trying to establish a sensible discussion instead of the political game of threat and counter-threat preferred by Mosley. Once he gets a bee in his bonnet (in this case, the 40 million cap), he tends to stick by it as a matter of pride, however, and I can see this going on for a long time yet. Good luck to the new teams in deciding under what rules they're going to build their first cars! This is not a ceasefire. Or if it is, it's a very badly-done one. Article 2.1 of the Sporting Regulations obliges all entrants to "observe all the provisions as supplemented or amended of... ...the present Sporting Regulations together referred to as “the Regulations”." FOTA want the 2010 Regulations changed to the 2009 ones as one of its conditions. This is not a method of change stipulated as permissible in the 2010 Regulations, nor are they the 2010 Regulations themselves. As a result, the condition itself breaches Article 2.1. The FOTA entry is technically invalid and the FIA is obliged to reject it, even if it wanted to make the changes listed in the conditions of entry. LMP1 and F1 cars are very similar now. from what I have read, the new Acura and Audi LMP1 cars are F1 cars with full body work. Seems like a good way to maximize development cost and get more exposure for your brand. If a budget cap is enforced, Ferrari will most likely not be there. I think they are right. It is better to abandon F1 than to dumb it down (any further) and pretend it is the same as it once was. Those champions of the past drove the best and fastest cars money could buy and that engineers could conceive. What is being offered as a new F1 is basically "F1 Lite." It is a pretender to the throne. F1 was the pinnacle of autosport.I doubt if Ferrari are going to sully their past glory and reputation racing a watered down formula. Nick: You're right about a budget capped F1 feeling like a compromised version of a racing series built on the premise: 'as fast as you can, by whatever design you conceive.' But F1 has been compromised in that way for a long time. The endless restrictions have shuttled the engineers down narrow paths that hold little interest, and where the cars once morphed and adapted in ways that made them go faster, they now mold themselves to a common shape made to improve the show. I'm not defending a budget cap... I get a perverse sense of enjoyment watching teams throw great gobs of money at a problem, yet still struggling. However, the combination of a budget cap and open technology is appealing (it seems the most expensive elements of F1 aren't included in the budgeted portions anyway). An open technology budgeted formula would be heading toward the more interesting versions of 'by whatever design you conceive.' And I am all for that. "The FOTA entry is technically invalid and the FIA is obliged to reject it, even if it wanted to make the changes listed in the conditions of entry." "This is not a method of change stipulated as permissible in the 2010 Regulations"
Alia, if FOTA requested for it and the FIA is OK with it, can the FIA trigger a legitimate method of change between now and the 12th of June, so that everything is still done within the confines of the regulations? If that's possible, the FIA and FOTA may decide to exploit that loophole. My apologies for not having joined in this discussion. My previous thought that I was getting better turned out to have been highly optimistic - I have been as sick as a dog over the last couple of days. Thank you to those who have brought such excellent thoughts to the subject in my absence. I tend to agree with Journeyer, that Mosley will not reject the FOTA entry and instead he will try to frighten the more vulnerable members into accepting the budget cap. If he fails in this, he may have to compromise as F1 with only five or six teams would be laughable. It's going to be an interesting struggle. I seem to feel that a "budget cap and open technology" is an oxymoron. It's like telling your kid he can ride on all the fairground rides he wants to ....for 10 cents. The clowns running the show are afraid of power in other peoples hands. I doubt if they would admit it but they'd probably love to see Ferrari gone as Ferrari swing too much weight for the comfort of the Mosley and Ecclestone. The music industry followed this general pattern after the Beatles gained what they considered far too much power. Since then the big companies have become dictators and anyone with new ideas basically has to go underground or to the "indie" route. Journeyer, the FIA is within its rights to change the regulations for 2010, even at this late stage, as long as it follows the appropriate procedure as detailed within the Sporting Regulations. However, this will not make the current FOTA entry valid - it will still have to re-enter, even if all its demands are met. It is also worth noting that imposing the 2009 regulations would make the cost-capped entries invalid, leaving the cost-capped teams free to sue the FIA for breach of contract. Max's best way to frighten people into accepting the cost cap is by getting them to enter under the cap, which is easier if he rejects this plan. Fear of re-entering too late to keep one's place in the system has worked before and could work again.